Auburn Carpet Cleaning | Carpet Cleaning Auburn, WA | Carpet Pros, Inc.
Are You Looking For Professional Auburn Carpet Cleaning Services? The professional s at Carpet Pros, Inc. provide superior quality carpet cleaning services to residential clients in Auburn. Our Auburn carpet cleaners are dedicated to creating beautiful living space for your family, and to enjoy the space for years to come. Our professional carpet cleaning staff is ready to help with everything from initial planning of your residential carpet cleaning project through the final clean up and walk through. Our commitment to quality carpet cleaning is only matched by our dedication to your complete satisfaction. Our Auburn carpet cleaners service all types of residential homes with complete knowledge and expertise. The experience of our Auburn carpet cleaners set us apart from our competition. We specialize in carpet cleaning, upholstery cleaning, stain removal. tile and grout cleaning, pet damaged carpet, seam repair, carpet cleaning service and more! For a complete list of what we offer please visit our services page. 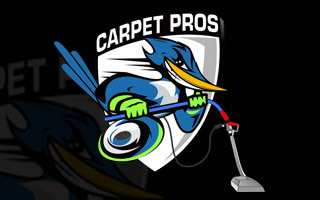 Carpet Pros, Inc. is committed to providing our Auburn clients with the finest quality carpet cleaning service with professionalism and attention to detail. We take care of each client’s needs from start to finish and are available around the clock to answer any questions you may have or clarify anything about your project. We are there for you throughout the entire process. When you’re living in Auburn, Washington or the surrounding regions, leave the carpet cleaning work to the professionals at Carpet Pros, Inc.
Our professional team of technicians is committed to performing thorough carpet cleaning procedures that simply produce results: cleaner and better looking carpet! Before beginning any work, we’ll carefully inspect your carpet to identify its current condition. This will help us identify any trouble spots that need extra attention. Next, we’ll move any furniture that needs to be cleared so we can vacuum your carpets to get rid of any dirt. We’ll then pre-treat any tough stains with a special solution to help remove them. Finally, we’ll utilize powerful truck-mounted equipment that’s designed to extract stains, remove dirt and allergens and shampoo and rinse your carpet. Benefits of Working with Carpet Pros, Inc. Regular cleaning can lengthen the life of your carpets. A professional truck-mounted cleaning system that’s more powerful than any household solutions. We specialize in removing odor and stains that pets leave behind. If your carpeting needs repair, we can help with that, too! If you are looking for an Auburn carpet cleaning company, then please call 253-460-5960.